Prospective college students and their parents can learn more about the college-selection and admissions processes during Parents’ Night on Sept. 9 at UL Lafayette. 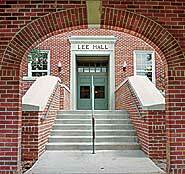 Parent’s Night will be held in the Student Union Ballroom on McKinley Street. The event will include an informal browsing session among the participating universities from 6 to 6:45 p.m. A session on financial aid, scholarships, and TOPS will follow from 6:50 to 7:30 p.m. The event is open to all prospective students and their parents. For more information, call the Office of Enrollment Services at (337) 482-6553.